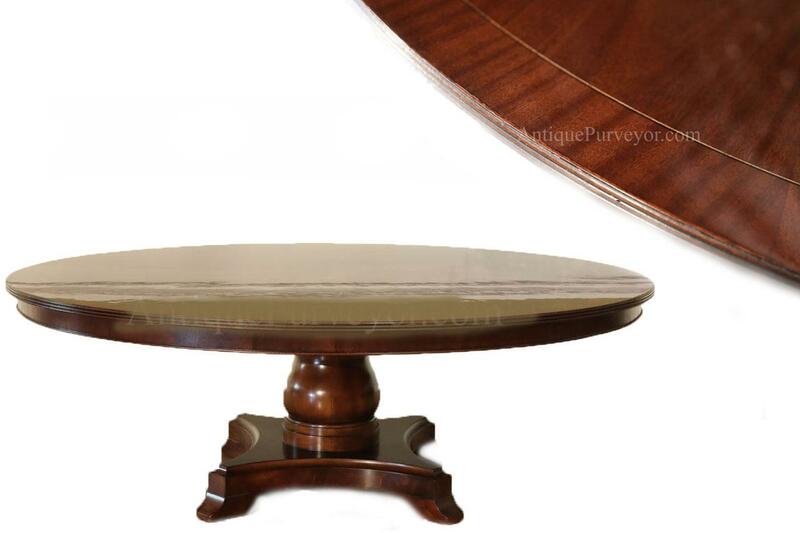 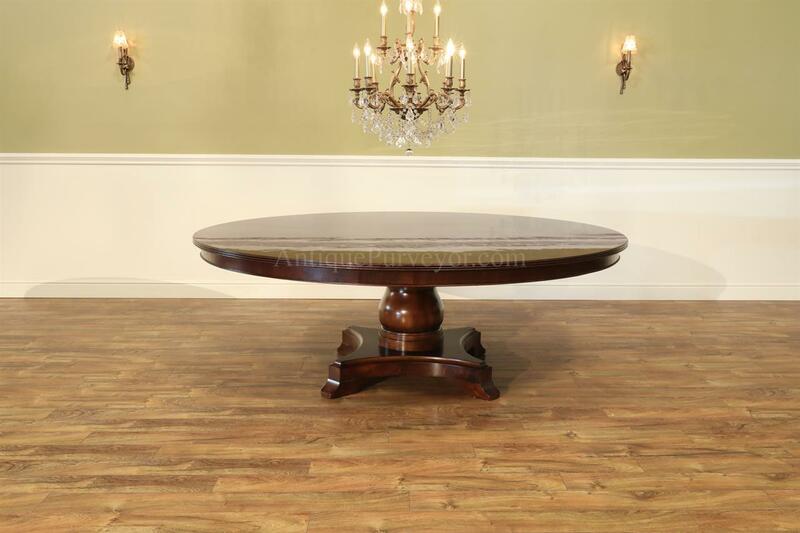 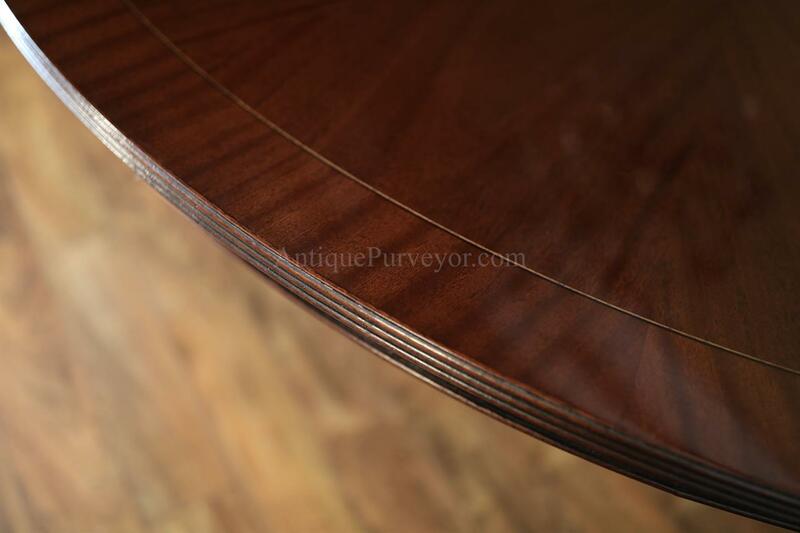 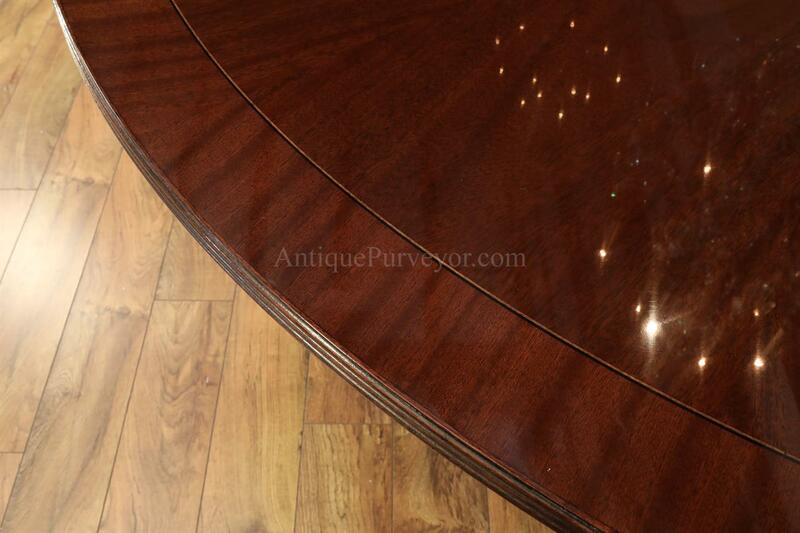 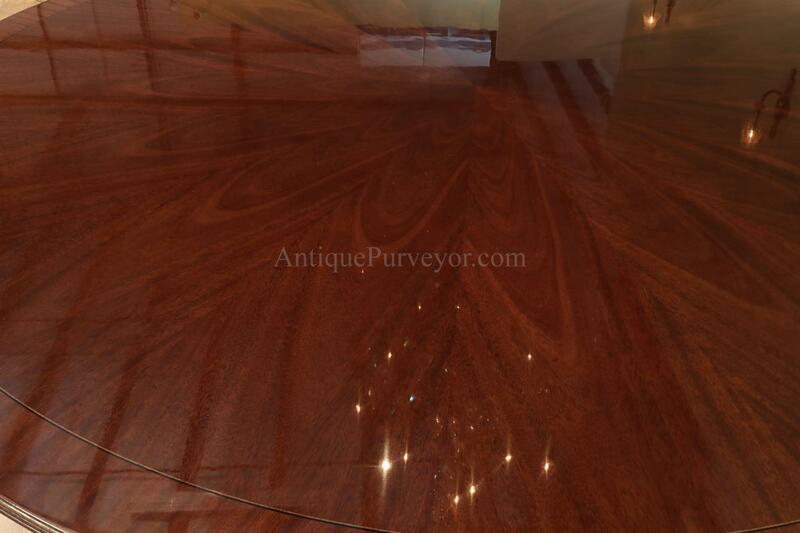 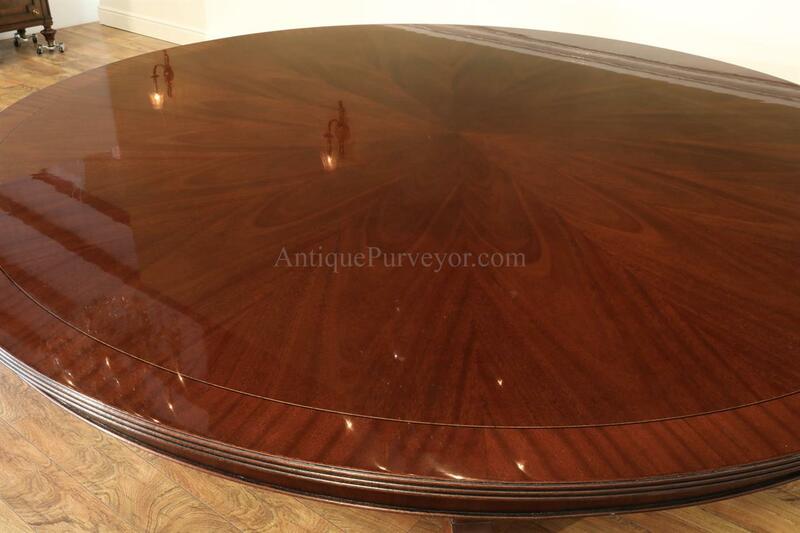 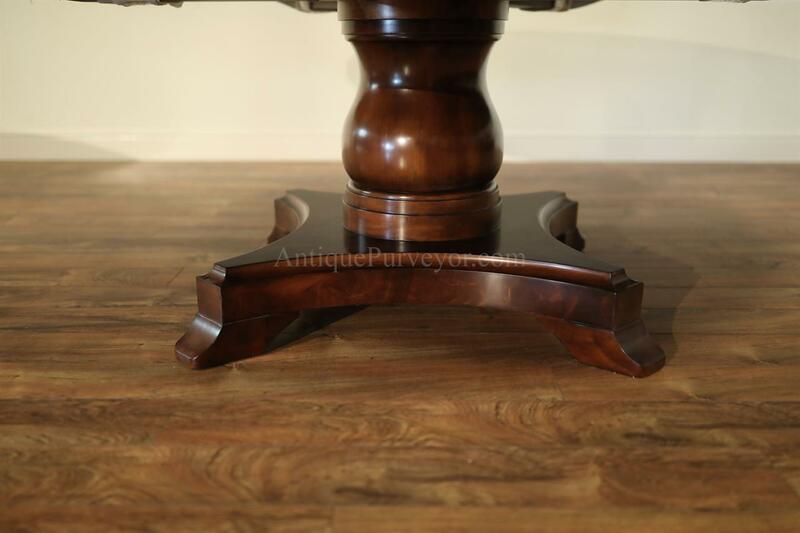 Description: 84 inch round mahogany dining table. 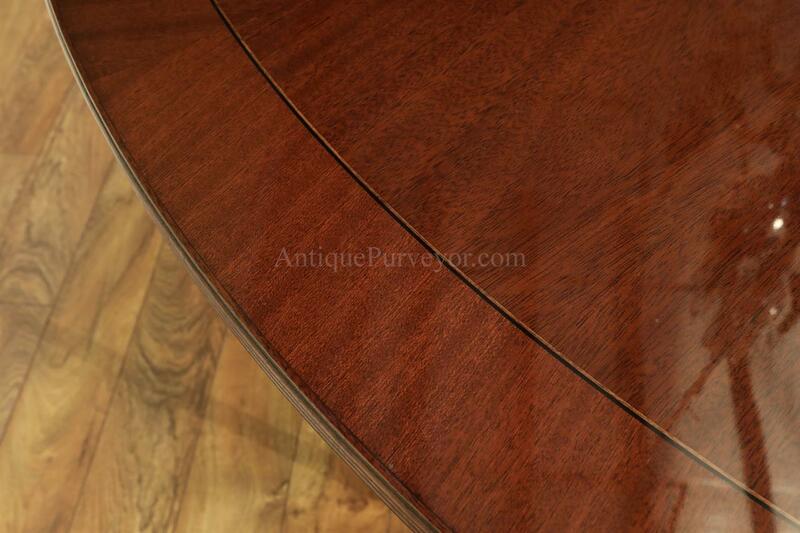 Classic simple cathedral mahogany pie cut field with Sepele bordered inlay. 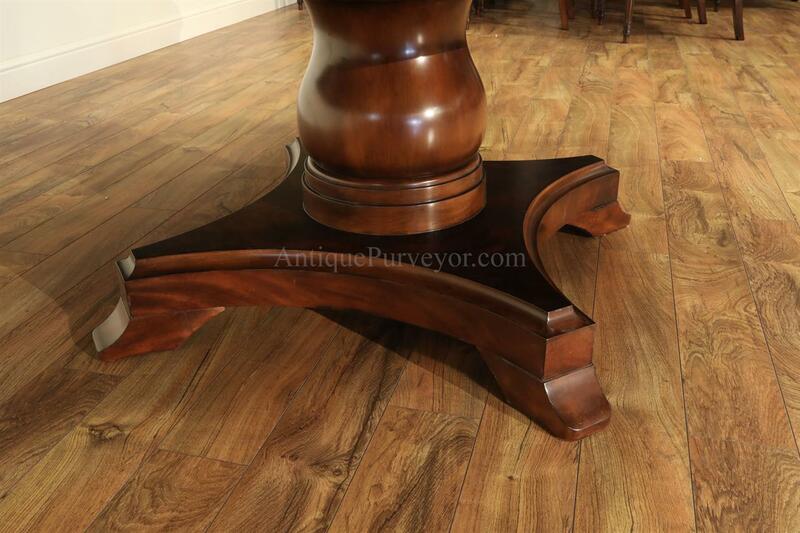 Heavy and sturdy column and platform pedestal with stout saber legs. 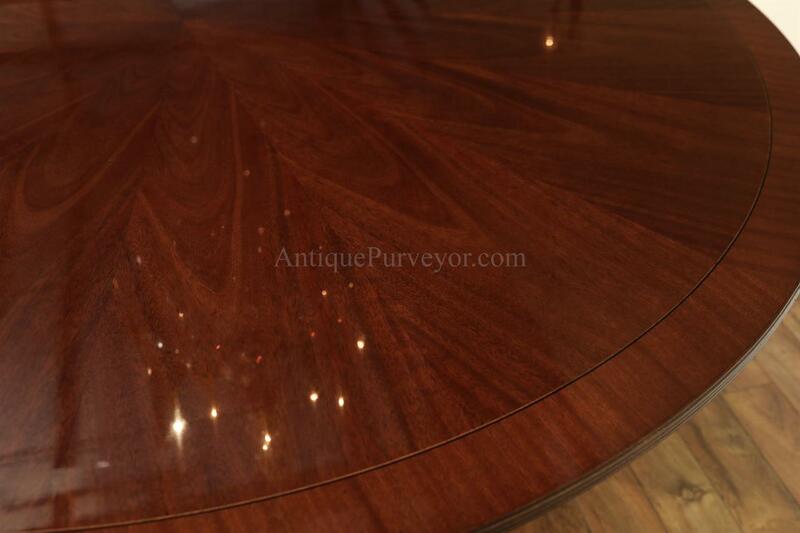 American made table with a crystal clear razor thin nitro celluose finish. 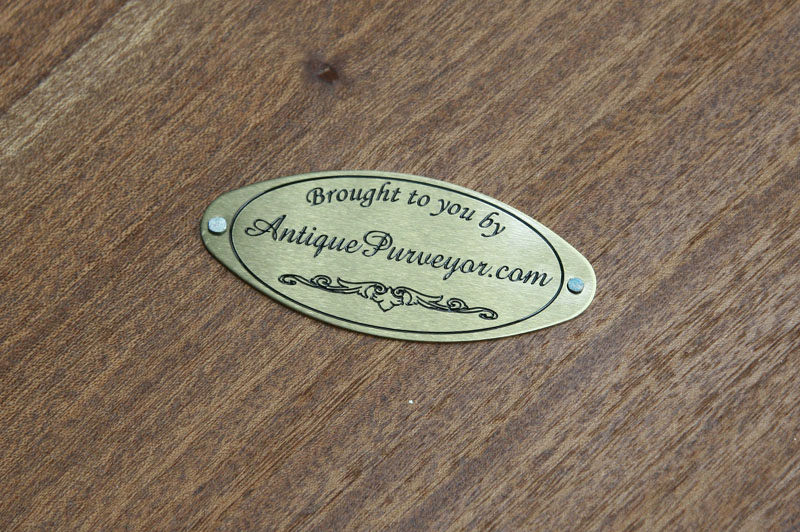 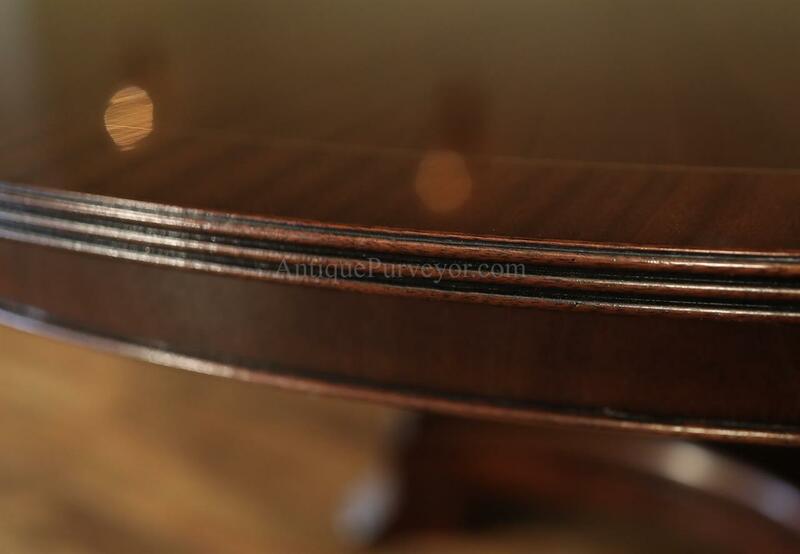 Table bordered with a reeded edge and a 3" apron.